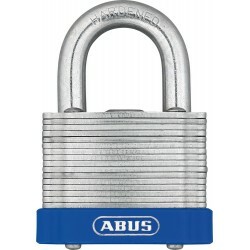 ONLINE ONLY PRICE This ABUS Combination Padlock is a strong and solid die cast zinc bodied combination padlock with a 4 digit resettable pin for total security. 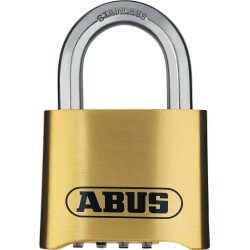 ONLINE ONLY PRICE The ABUS 180IB/50 is a 100% Rust proof padlock from the ABUS Marine range. 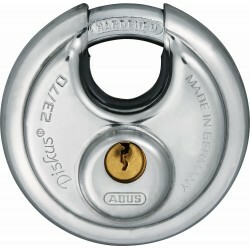 It features an individually resettable code, a locked shackle on both sides for extra security and a high manipulation resistance. 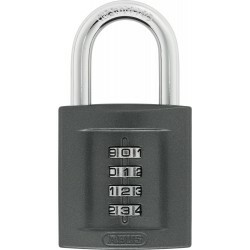 ONLINE ONLY PRICE A solid 4-digit combination padlock where security and convenience are required. A high strength steel body protects this model where smaller types will fail against force attacks. 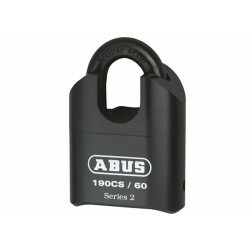 ONLINE ONLY PRICE This ABUS diskus 23 padlock provides excellent 360° protection and is built from stainless steel and fitted with a hardened steel shackle for optimum security. 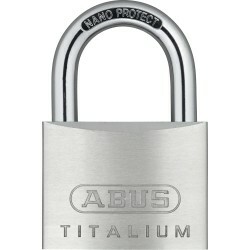 Reliable laminated steel padlock from ABUS, corrosion resistant and fitted with a paracentric keyway, it is highly resistant to picking and drilling too.